Has anyone ever used buttermilk instead of milk or half and half when making french toast? The buttermilk in my fridge is nearing the end of its shelf life, I have a nice half loaf left of a sourdough baguette, and a nice custardy french toast sounds good. We love buttermilk pancakes and make them often, so the idea occurred to me to use buttermilk. What do you think? Too much tang using buttermilk with sourdough? 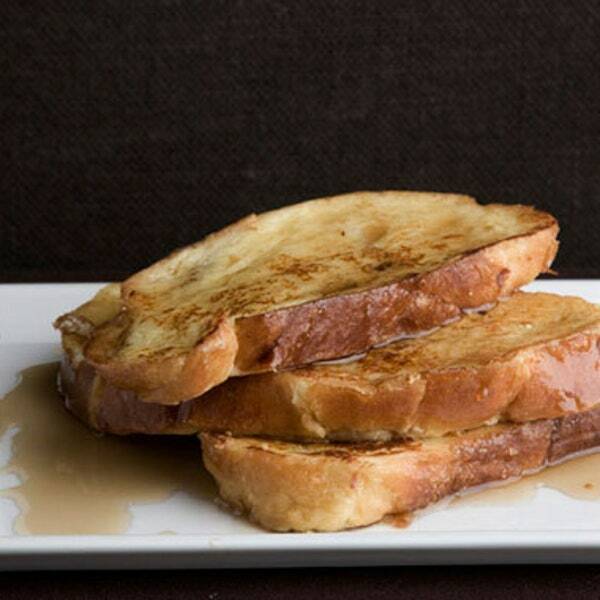 Sourdough bread aside, have you ever used buttermilk when mkaing french toast? I personally never had, nor would I have thought about it, but your post made me wonder and look what I found! Seems it’s a thing and a well-rated one at that! There’s more than one recipe for it out there, too, but this one was listed first and had ALL THE STARS. Do it! I have and liked it. The ratio of eggs to buttermilk for French toast really isn’t going to be that noticeable. The French toast still works great with maple syrup or preserves or whatever. Who knows, you may end up never making standard French toast again! I also prefer buttermilk in waffles and pancakes. I’ve even substituted yogurt and a bit of water before I would use plain milk. To me, French toast has to have cinnamon or nutmeg. - a bit of that eggnog aroma ! The extra bite of the buttermilk sounds delicious. Thanks for the link - that was a surprise. I’ll definitely have a go at it Sunday and surprise my spouse with a game-day breakfast. Nothing’s wrong with using both cinnamon and nutmeg, along with a splash of vanilla extract for good measure. Look forward to trying the buttermilk french toast this weekend. Glad to read you liked it. Kind of a traditionalist in that we like just butter and maple syrup. I’ll be sure to report back after trying it. I make an almond version, too, but I love all things almondy! It tastes good in pancakes, why not! For what it’s worth, I noticed a big difference when I started using egg yolks only instead of whole eggs. If you’ve ever tasted that “eggy” taste on the french toast, you’ll really notice a difference. Also, if you use cinnamon, mix it in the egg yolks before you pour in the milk. No more floating clumps of cinnamon to chase around.